Raw Goat's Milk Yogurt delight, and Antioxidant PowerHouse. ​A natural Sleep aid? Stress-reducer? Find out by clicking the Read more link below. I have made many recipes following my own body needs (and for the many of you out there); the best reasons to experience with new foods), but also to put into practice what I am learning in Nutrition and Naturopathic Principles. This recipe is exactly that. It looks like Western Medicine is still not acknowledging Adrenal Fatigue or Exhaustion, unless the symptoms have escalated to a disease, usually autoimmune, such as Cushing's Disease (too much Cortisol is being produced by the Adrenal Glands) or Addison's Disease (The adrenals have exhausted all Cortisol production, due to constant (any kind of) stress and the body can no longer cope, and the symptoms include complete exhaustion, fatigue, and low brain function)1. It makes sense indeed that Conventional Medicine (backed up by greedy Pharmaceutical Companies), only treat symptoms, and is not interested in prevention (there is no money to be made there! ), because usually symptoms can be life threatening and require immediate action. But, is it not better to prevent a disease than masking the symptoms with a tablet-a-day? Getting rid of the symptoms, and this has been proven again and again in a myriad of studies, do not address the root of the disease, and therefore, symptoms may eventually come back (especially if there is no changes in lifestyle and diet; and emotions are not dealt with), or transform to new manifestations. Remember that the body is sending warnings, IT IS OUR CHOICE TO LISTEN OR NOT! A disease is the final stage when symptoms were left ignored, and the body has no other choice but to ring the alarm. I am writing this because it seems that even though I am learning Nutrition and Naturopathy (and NLP and Coaching), I have not listened to my own body. Working long hours since I am 15 years of age, sometimes weeks at a time, plus studying (and again, for the last few years), I have not listened to my body (or did not know how when younger), and I am now close to Adrenal Exhaustion. Chronic Stress (for doing too much at once, deadlines, and ageing - not coping as well), irregular eating (again a stress to the body, slowing down all pathways of detoxification, increasing the risk of Dysbiosis due to decreased bowel movements), living in London (Maximising the load of Free Radicals my body can deal with, including from block of flats Wi-Fi routers, mobile phone radiation, and environmental pollution), and not being able to afford Organic produce and no longer having a garden where I can grow my own fruits and vegetables, have now reached a peak where immediate action is required. If I go to my GP and explain Adrenal Exhaustion, He/She will probably give me a tablet (or several, mostly to negate the side effects of the previous drug), and will change nothing to my condition. So I have decided to put into practice what I have learned from Stephen Langley lectures. I will cut all stimulants, including caffeine and sugar, out of my diet, and rest whenever possible, and work very hard on re-establish my Circadian Rhythm. 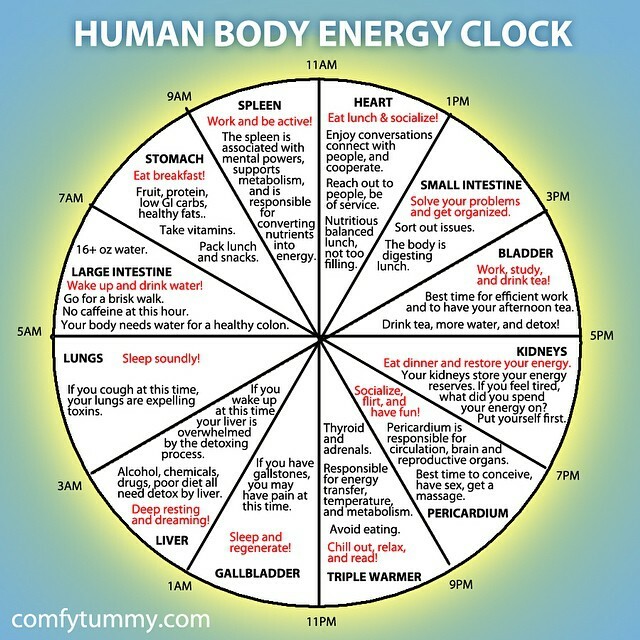 Furthermore, Liver Detoxification Pathways require many nutrients, especially Protein, B vitamins, and Antioxidants to scavenge the Free Radicals it produces, and it is most active between the hours of 1.00-3.00 am (according to the Traditional Chinese Medicine Clock). 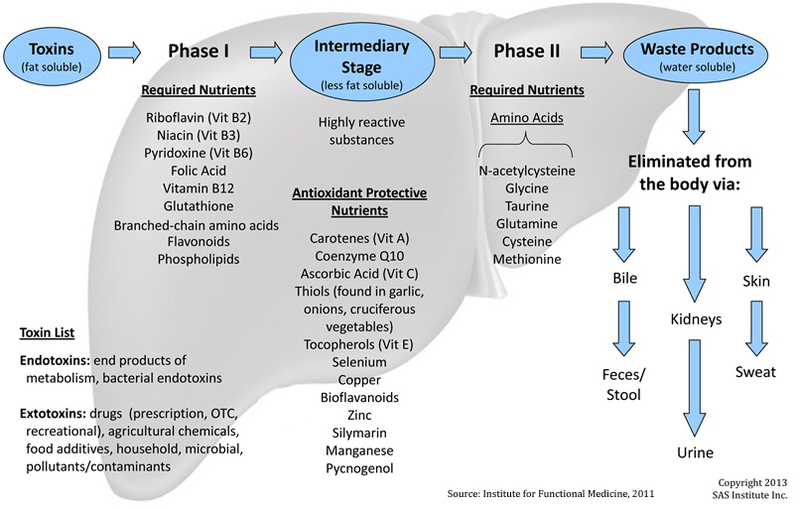 It makes sense then to support liver functions with essential nutrients at night. A lukewarm glass of lemon water before bed can also help with the flow of bile, a natural laxative, also required to emulsify (digest) fat and absorb Essential Fatty Acids, and Lipid-soluble Vitamins (Vit. A, D, E, K). Flooding the body with the required essential nutrients, therefore, also makes complete sense. This recipe will be part of a complete spectrum of articles and recipes, that will appear in my next newsletter, Part 2 of Stress and sugar. Raw Goat's Milk Yogurt (rich in Protein (helps Liver Detoxification Pathways) and Tryptophan - precursor to Serotonin and Melatonin (regulate sleep), good source of B Vitamins (helps Liver Detoxification Pathways), and Magnesium - to assist in energy and enzymatic production) with Pomegranate (rich in Antioxidants, acts upon Inflammation), Aloe Vera (to soothe the Gastrointestinal Tract, acts upon Inflammation), Nuts and Seeds (Essential Fatty Acids and Protein-rich, wound-healing), Dehydrated Organic Pink Grapefruit Rind (Antioxidant-rich, acts upon Inflammation, helps Liver Detoxification Pathways), Freshly grated ginger (Antimicrobial, Thermogenic), and Kiwi Fruit (inhibits early lipid oxidation (reduce the risk of Atherosclerosis); strong anti-oxidant effects: may prevent the development and deterioration of diseases caused by oxidative stress)3. Mix all ingredients together. Enjoy as a home movie snack, before bed time snack (at least, 1 hour before bed), or as an amazing breakfast. Do you feel the same? Continuously tired, exhausted and fatigued? Please share with the rest of us, and let's aim at building a community where nutrition tips are better than medicine.